Besides improved performance and new features, the HUAWEI WATCH GT also sports a unique design. The 1.39-inch 454 x 254 AMOLED high resolution display presents information cleanly on the wrist. The smart watch body incorporates a dual-crown design with stainless steel and ceramic bezels, and is treated with a DLC diamond carbon coating to provide users with durability that will last for decades. The 10.6 mm case body is compatible with two band options—a dual-colour silicone band and an elegant leather-rubber band—giving users more choices to customise their HUAWEI WATCH GT for any occasion. In addition to the ultra-long battery life, the HUAWEI WATCH GT features industry-leading positioning capabilities. The smart watch can simultaneously tap into GPS, GLONASS and GALILEO, three of the major satellite positioning systems, for precise positioning. A tracking algorithm then optimises the tracking data to achieve one-to-one positioning even in areas with numerous disparate signals. 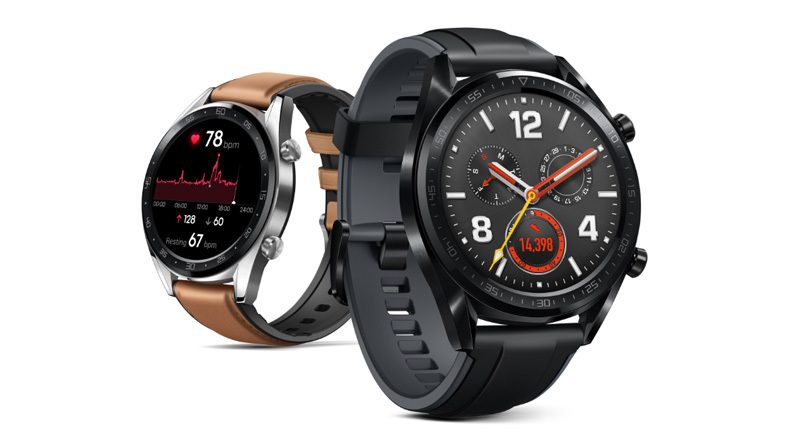 The HUAWEI WATCH GT also addresses the needs of active users. Based on its strength in positioning, HUAWEI WATCH GT also supports all-round sports activity tracking. Working with professional sports organisations, Huawei enables tracking for a range of sports, including indoor exercises, outdoor running, mountain climbing, cycling and open water swimming. The watch also supports fitness coaching features. By analysing the heart rate of users with scientific methods, this feature lets users exercise more safely and healthily than ever before. Leveraging the same technology powering TruSeen™ 3.0, HUAWEI Band 3 Pro can also track sleep patterns with HUAWEI TruSleep™2.0. Moreover, the solution uses big data analysis to provide personalised services and suggestions to improve sleep quality. 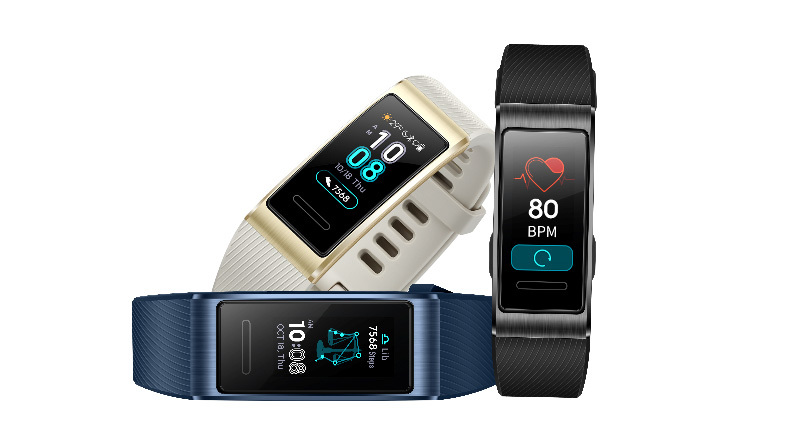 All of the aforementioned technologies were developed by Huawei in collabouration with authoritative organisations around the world, ensuring that the wearables are highly functional and professional. The HUAWEI Band 3 Pro features a 0.95-inch HD AMOLED colour touch screen that offers an expansive space to display data. The controls are easy and intuitive—users can navigate the various options on the screen by swiping vertically or horizontally, or by tapping the screen to return to Home.